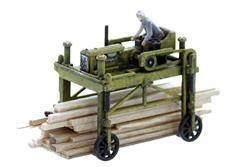 Super Detailed Lumber Carrier comes ready for your Lumber / Logging Scenes. 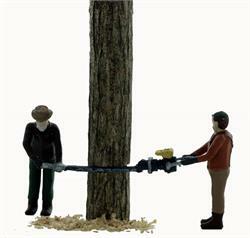 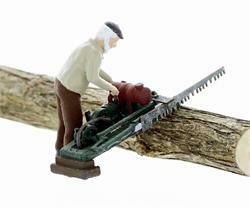 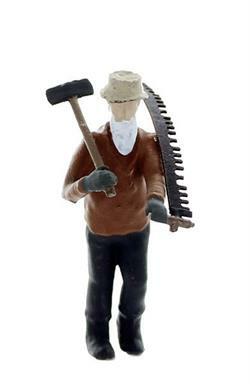 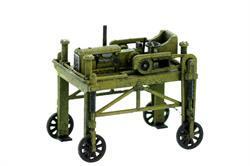 This S Scale detailed model has alot of character and will add a new dimension to your scenes. 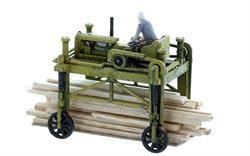 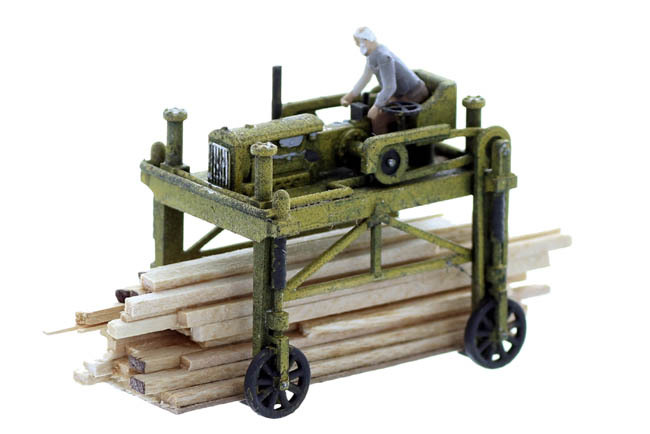 NOTE: Lumber and Machine operator shown in illustration are NOT included with the vehicle the S Scale Version May be built up upon demand and can possibly take 3 weeks for delivery as these are hand finished and detailed.